The French government is considering backing Michelin CEO Jean-Dominique Senard for the chairmanship of Renault to replace Carlos Ghosn, Le Figaro reported. Senard "ticks all the boxes" because he is an industry expert and he has an international stature, a source said. PARIS -- The French government is considering backing Michelin CEO Jean-Dominique Senard for the chairmanship of Renault, replacing embattled CEO Carlos Ghosn, Le Figaro reported on Sunday, citing several sources. The government is Renault's biggest shareholder, with a 15 percent stake and two board seats. "He ticks all the boxes. He is available, he is an industry person, an expert in the sector, he is highly regarded by the government, and he has an international stature," Le Figaro quoted one of the sources as saying of Senard. 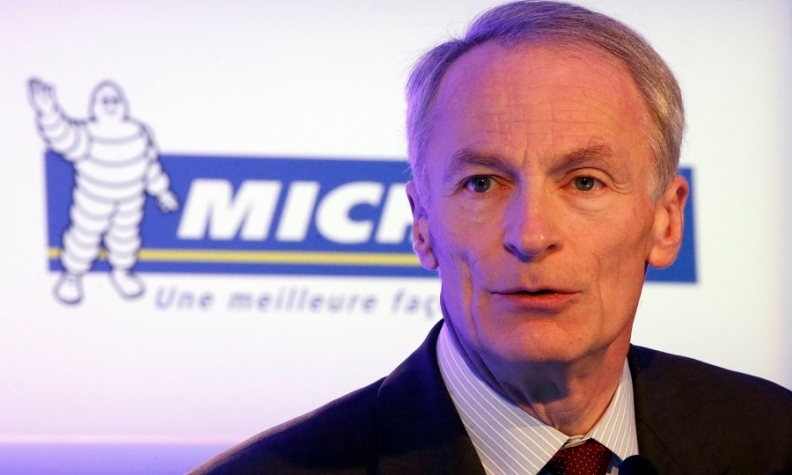 Senard, 65, will step down as Michelin CEO when his contract expires next year. A Renault spokesman declined to comment. Officials at Michelin were not immediately available. The government is seeking candidates to replace Ghosn and some Renault board members began to voice doubts about keeping him in office after his indictment in Japan for suspected misconduct, sources told Reuters last week. Ghosn was arrested on Nov. 19 and has been formally charged with understating his compensation by about half of the 10 billion yen ($88 million) he was awarded over five years from 2010 as chairman of Nissan. Renault has until now kept Ghosn as CEO while Nissan ousted him on Nov. 22. Nissan is 43.4 percent-owned by Renault. It is almost 60 percent bigger by sales but remains the junior partner in their shareholding alliance with a smaller reciprocal 15 percent non-voting stake in its French parent.